Discover a bonanza of Western paintings, films, and sculptures in the Chrysler Museum of Art's fall keynote exhibition. Branding the American West: Paintings and Films, 1900–1950 features classic images of cowboys, Native Americans, mountains and deserts. Though many of the works closely correspond to most Americans' ideas of the "Wild West," the show also includes artworks that challenge those popular views. Headlining this stampede of more than 100 works of art are iconic images by Frederic Remington, Charles Marion Russell, and N. C. Wyeth. These master illustrators created a visual "brand" for the frontier as a land filled with adventure and rugged individualism. Turn-of-the-century city dwellers adored nostalgic fantasies of the Wild West, but as this show reveals, some artists challenged these stereotypes and acknowledged the taming and modernizing of the region. Since the Chrysler Collection has very few works of Western art within its sweeping American art galleries, "an exhibition of this scope and scale brings something new to our audiences. It transports visitors across the country—and back in time—to a place of mystery, beauty, and sometimes danger and contradictions." Paintings and novels about the Wild West fueled tourism and immigration to the region, particularly Utah, Arizona, and New Mexico. Branding the American West explores this moment of change, considering how the arrival of railroads, automobiles, and industry shifted the character of Western art. and other sweeping vistas. 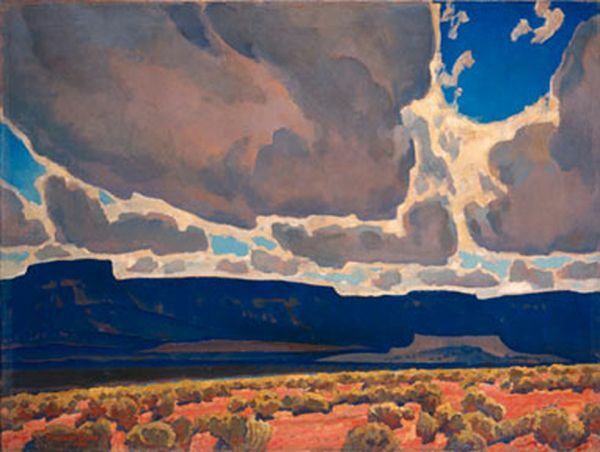 The show features more than a dozen powerful landscapes by Dixon, who described his work as capturing the West's "sense of sun and space and silence—of serenity—of strength and freedom." a magnificent sunset view of an Indian camp. Other works by the Taos painters celebrate the extraordinary craftsmanship and design of Native pottery, baskets, and textiles. Perhaps the most innovative feature of Branding the American West is its comparison of fine art with film, breaking new scholarly ground by recognizing the importance of the American West to the early history of Hollywood. Throughout the galleries video monitors will juxtapose clips from classic movies by John Ford and Cecil B. DeMille with the works of Remington, Dixon, and their colleagues. These pairings show how filmmakers translated competing "brands" of the frontier from canvas to the big screen. A series of Western-themed programs, talks, films, and family activities complement the exhibition throughout its run. 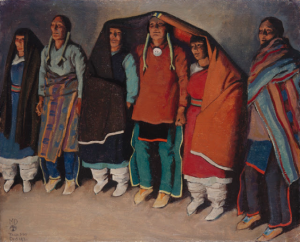 Branding the American West: Paintings and Films, 1900–1950 is organized by the Brigham Young University Museum of Art, Provo, Utah, and the Stark Museum of Art, Orange, Texas. Paired portraits of Agnolo Doni and his wife Maddalena. An exhibition of Frida Kahlo’s paintings and drawings, together with her personal photograph collection, will open to the public at The Dali Museum in St. Petersburg, FL on December 17, 2016 and continue through April 17, 2017. Kahlo’s works have achieved monumental importance in art and popular culture. Her dreamlike work suggests that love and suffering create a new sense of beauty. Kahlo’s art and storied life stir immense public interest. Frida Kahlo at The Dali will be Florida’s first solo exhibition showcasing the extraordinary career and life of the acclaimed 20th century artist. The exhibit will feature a collection of more than 60 Kahlo pieces including 15 paintings, seven drawings and numerous personal photographs from the celebrated female artist and influential icon. The exhibition will extend outdoors where a special collection of flowers and plants representative of those in Kahlo’s own garden at Casa Azul, her home in Mexico, will grace the grounds of the Museum’s Avant Garden. Co-organized by The Dali and the Museo Dolores Olmedo in Mexico City and featuring the Vicente Wolf photographic collection, the exhibition is an intriguing exploration of the life of Kahlo, her striking artwork and her fascinating psyche. Together with the exclusive photographs of family, friends and lovers, the exhibition gives a complete view of Kahlo’s world along with the joys, passions and obsessions of this remarkable artist. In conjunction with this empowering exhibition, The Dali will host a series of programs that engage visitors in journaling, Mexican cooking, and gardening – some of Kahlo’s favorite pastimes. And, this year, the Museum’s annual student exhibit will carry a corresponding theme of ‘Surreal Identity,’ based on the symbolic and autobiographical approach utilized by Kahlo and Dali. Additional programming such as films will accompany the Kahlo exhibition and a large variety of Kahlo-inspired merchandise – including jewelry, home decor, apparel and more – will be available in The Dali Museum Store. Frida Kahlo at The Dali has been co-organized by The Salvador Dali Museum, St. Petersburg, FL and the Museo Dolores Olmedo, Mexico City. ST. PETERSBURG, FLA (August 15, 2015) – An exhibition of Frida Kahlo’s paintings and drawings, together with her personal photograph collection, will open to the public at The Dali Museum in St. Petersburg, FL on December 17, 2016 and continue through April 17, 2017. Kahlo’s works have achieved monumental importance in art and popular culture. Her dreamlike work suggests that love and suffering create a new sense of beauty. Kahlo’s art and storied life stir immense public interest. Frida Kahlo at The Dali has been co-organized by The Salvador Dali Museum, St. Petersburg, FL and the Museo Dolores Olmedo, Mexico City. The exhibit also features works from the Vicente Wolf photographic collection. Frida Kahlo at The Dali is curated for The Dali by Dr. Hank Hine and Dr. William Jeffett. Permission to reproduce these images is granted solely for use in conjunction with media reportage and review of Frida Kahlo at The Dali All reproductions must be accompanied by each image credit as noted below. Permission to reproduce these images is contingent upon the press’ acknowledgement and acceptance of these terms. on a lithographic stone in the background). Christie’s will highlight its November 15th Evening Sale of Post-War and Contemporary Art with Jean Dubuffet’s Les Grandes Artères, 1961 ($15-20million). Les Grandes Artères is a masterful canvas from Dubuffet’s celebrated Paris Circus series*, a body of work which is regarded by many Dubuffet scholars as marking the pinnacle of the artist’s career. With its vibrant palette, sense of energy and the individuality that Dubuffet instills in each of his characters, Les Grandes Artères, is one of the artist’s most accomplished compositions from Paris Circus. 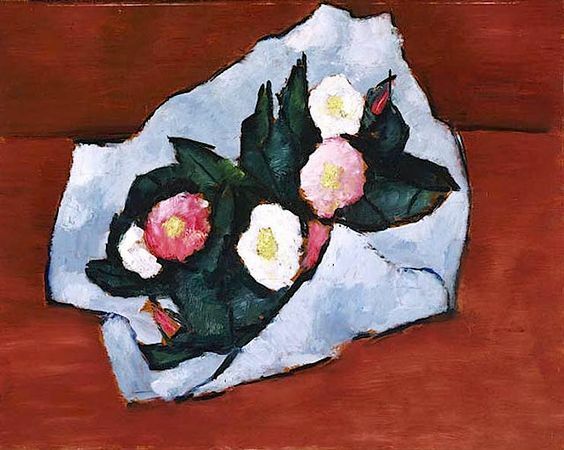 Many examples from this series are housed in important international collections including the Tate Gallery, London; Solomon R. Guggenheim Museum, New York; National Gallery of Art, Washington D.C., and the Centre Georges Pompidou, Paris. 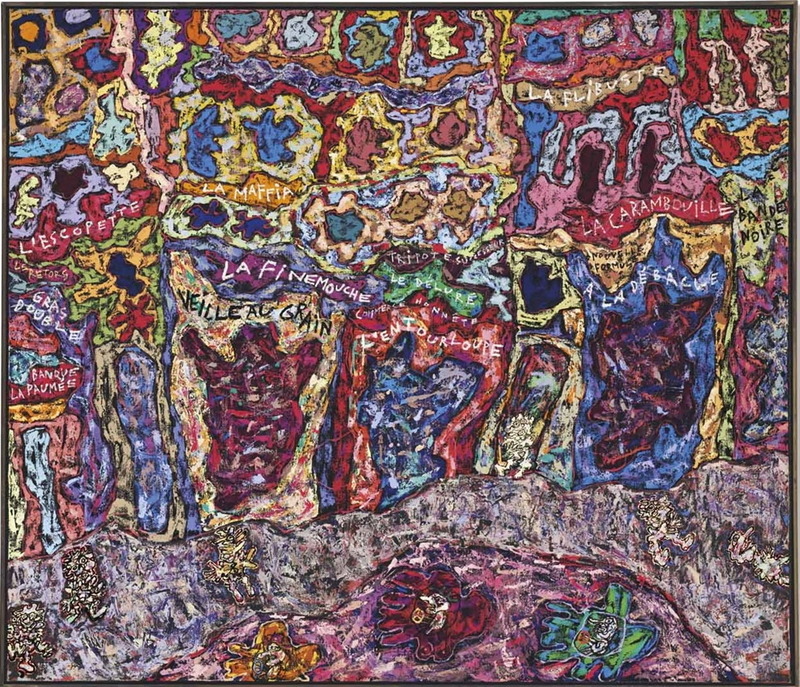 Les Grandes Artères has been in the same private American collection since 1964, and has not appeared publicly since 1973, when it was featured in the Guggenheim’s Dubuffet retrospective. Across its surface Dubuffet convenes a cast of characters, which expertly capture the sense of liberation enjoyed by Paris as it emerged from the darkness of the Second World War. Using his signature naïve style, Dubuffet lays out the French capital’s grand boulevards filled with bustling shops, cars and people. In this bold and vibrant canvas, Dubuffet packs the surface with the energy and exuberance that he witnessed after his return to the French capital. Dubuffet’s breakthrough came in February 1961 when the force of this powerful revelation gave birth to the artists most illustrious and sought-after series, Paris Circus. Returning to Paris after a six-year self-imposed hiatus in the countryside of southern France, Dubuffet’s Paris Circus paintings signal the artist’s vivacious rediscovery of city life. Captivated by the energy coursing through the Parisian streets, Dubuffet was swept up in the whirl of the city bustling with cars and people. Infused with a high degree of shrewdness and wit, the shop lined street is flanked by businesses of the artist’s own creation. In addition to the archetypal city establishments – a bank, a cosmetics store – Dubuffet depicted storefronts with signage, which satirize the rampant consumerism that he saw pervading society. A few examples include: Fruits et legumes du desespoir (fruits and vegetables of despair), A l’issue fatale (fatal outcome) and Societe l’indercrottable (hopeless society). Even the four cars at the bottom of the composition are specific brands: Ford, Citroën, Simca, Fiat. Throughout the 1960s, an intoxicating postwar energy swept the globe, in which every day phenomena were seen through fresh, excited eyes. In America, Pop Art was born, investigating the unique auras surrounding quotidian objects and fearlessly appropriating the daily images that flooded the collective consciousness. In France, amidst the throes of New Wave cinema and sexual revolution, Dubuffet created a new liberated language that sought to convey the unbounded joy of daily living. Les Grandes Artères conjures a new artistic handwriting, equipped to translate sensory experience and, in doing so, to suggest new ways of comprehending our daily existence. Christie’s has announced Wassily Kandinsky’s Rigide et courbé as a highlight of its November 16th Impressionist and Modern Art Evening Sale in New York. Rigide et courbé (Rigid and Curved) is one of the most celebrated and dynamic compositions, of grand scale. The canvas is densely packed with lively geometric vignettes and a thoughtfully textured surface composed of sand mixed with paint, a technique Kandinsky used only in his Paris paintings of 1934-1935. 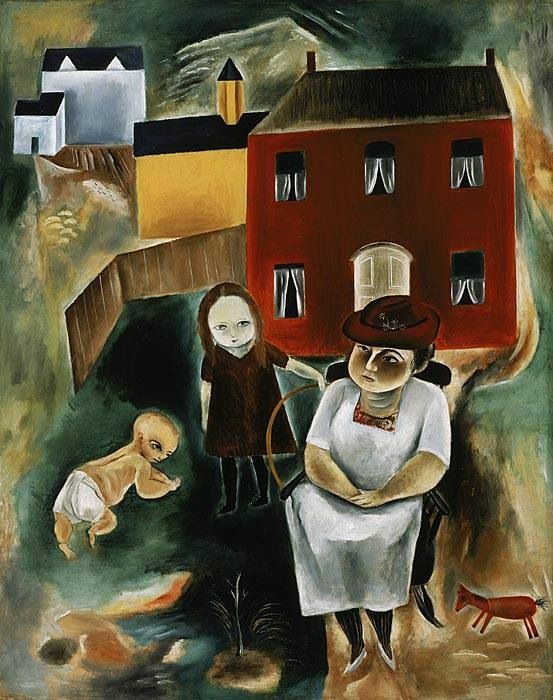 The present work, first owned by Solomon R. Guggenheim who acquired it from Kandinsky in 1936, has been extensively published and highly exhibited from 1937-1949. Estimated at $18-25 million, the painting is undoubtedly the most important Paris period painting by Kandinsky to ever appear on the market. It is being offered from an important private American collection and has not been on the market since 1964. The upcoming sale preview marks the first time in over 50 years that the work will be publicly displayed. 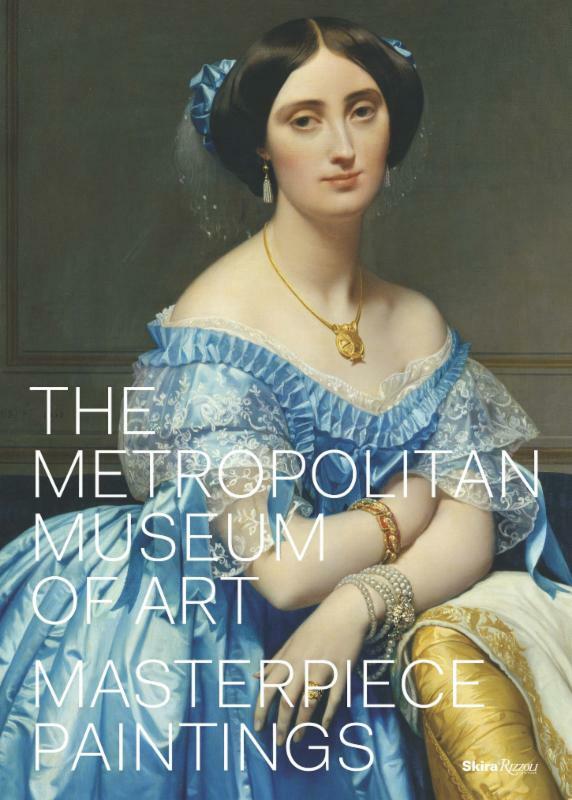 The Metropolitan Museum of Art: Masterpiece Paintings is a monumental new publication, published by Skira Rizzoli, that highlights 500 iconic works from across the Museum's world-renowned collection of more than 5,000 years of visual expression. Over 1,100 lavish color illustrations present the paintings chronologically, from the ancient Near East to the present day, accompanied by engaging and informative texts written by long-time Met curator and educator Kathryn Calley Galitz. The volume's broad sweep of material makes it at once a universal history of painting and an ideal introduction to masterworks at The Met. "This new publishing project celebrates the breadth and depth of The Met's unparalleled collection of paintings across all cultures," said Thomas P. Campbell, Director and CEO of The Met. "It's the most extensive survey of the Museum's paintings ever published, with a fresh, interconnected approach that reflects today's global perspective." Ms. Galitz added: "It was such a privilege to give voice to the Museum's collecton of masterpiece paintings. As I was writing, I was especially drawn to the many connections that emerged among works from different times and cultures. I hope this book will inspire readers to make their own connections and to approach painting in a new, more inclusive way." The 500 works presented in The Metropolitan Museum of Art: Masterpiece Paintings encompass a wide range of surfaces where color has been applied—from clay vessels unearthed at ancient burial sites to Egyptian mummy boards, plaster walls that survived the eruption of Mount Vesuvius in A.D. 79, and vellum pages from medieval manuscripts. Also included are paintings on silk scrolls, palm leaves, and tree bark, as well as traditional materials such as canvas and wood. The landmark paintings chosen for the volume are distinguished by their innovative qualities or their influence, while some best embody a particular artist or culture. The creators of the works span the widest possible range, from anonymous makers to the most celebrated artists of their day. European and American artists include Duccio, El Greco, Raphael, Titian, Botticelli, Bronzino, Caravaggio, Turner, Velázquez, Goya, Rubens, Rembrandt, Bruegel, Vermeer, David, Renoir, Monet, Van Gogh, Gauguin, Cézanne, Degas, Sargent, Homer, Matisse, Picasso, Pollock, Johns, and Warhol, through to contemporary artist Kerry James Marshall. 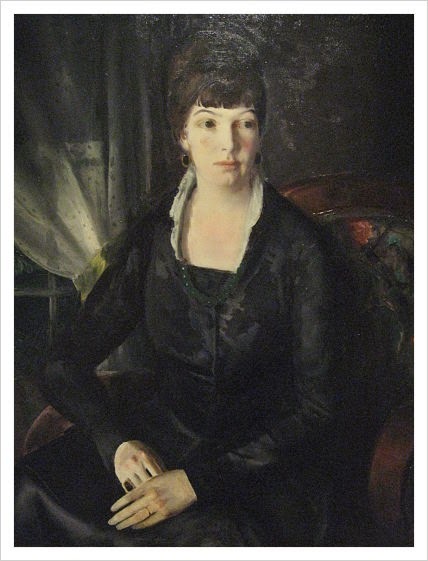 Ms. Galitz's introduction and her writings about the individual works of art address the artistic and historical contexts in which the paintings were created, their influences on other works of art, and the significance of the artists—all of which speak to what makes these works "masterpieces." 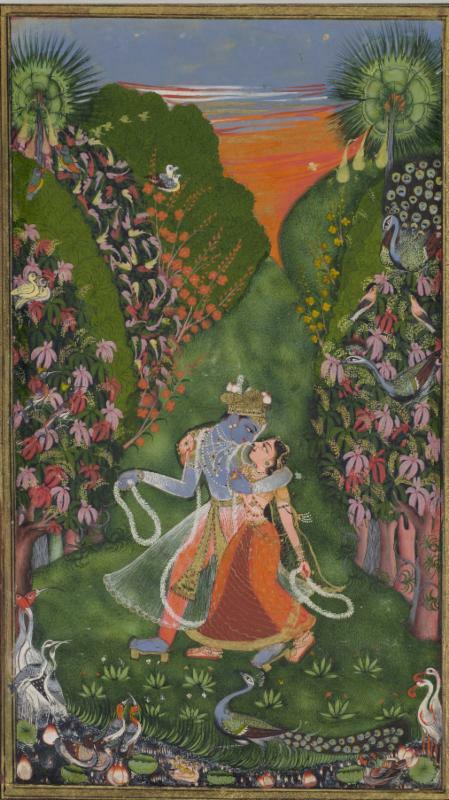 In many ways, the publication is a tribute to the collecting acumen of The Met staff and the generosity of its donors, who, over the nearly 150 years since The Metropolitan Museum of Art was founded, have built the collection into one of the largest and most comprehensive in the world. The credit line for each painting tells an essential part of its story: how it came to enter the Museum's holdings. In most instances, the works were gifts, attesting to the extraordinary legacy of patronage that has sustained The Met throughout its history. Names such as Morgan, Rogers, Altman, Bache, Havemeyer, Clark, Lehman, Dillon, Wrightsman, and Annenberg resonate as both remarkable collectors and symbols of historic generosity. 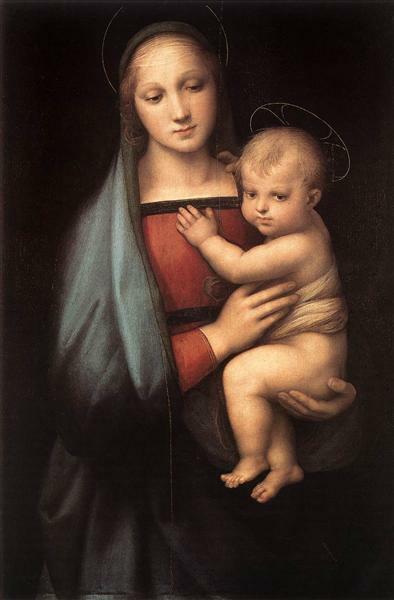 The Museum's collection of masterpiece paintings continues to grow: 65 of the works included in this volume were acquired in the year 2000 or later, and four of them just within the past year. Among the most recent additions are important works from the Mary Griggs Burke collection of Japanese art and Leonard A. Lauder's transformative gift of 78 seminal Cubist paintings. The Phillips Collection, America’s first museum dedicated to modern art, was opened in 1921 in the nation’s capital by Duncan Phillips (1886–1966), who was determined to lift the work of American artists out of obscurity at a time when museums and collectors were primarily interested in European old masters. With an emphasis on the work of living artists, he assembled a collection of American painting when there were no roadmaps for what would stand the test of time. Phillips’s collecting interests were broad-ranging. He promoted diversity— as seen in the works by self-taught artists, artists of color, foreign-born artists, and recently naturalized Americans—resulting in a rich assembly of independent-minded artists. 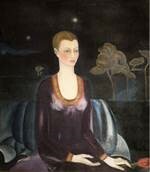 He also believed his collection needed to reflect the continuity of art across time. 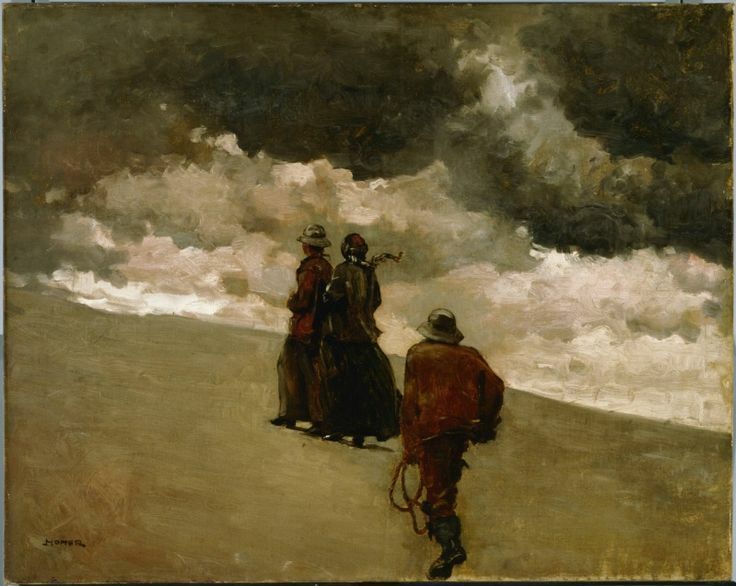 He reached back into the 19th century to collect artists that he considered America’s first modern masters, particularly Thomas Eakins, Winslow Homer, and Albert Pinkham Ryder, in order to demonstrate the connections between past and present in American modernism. 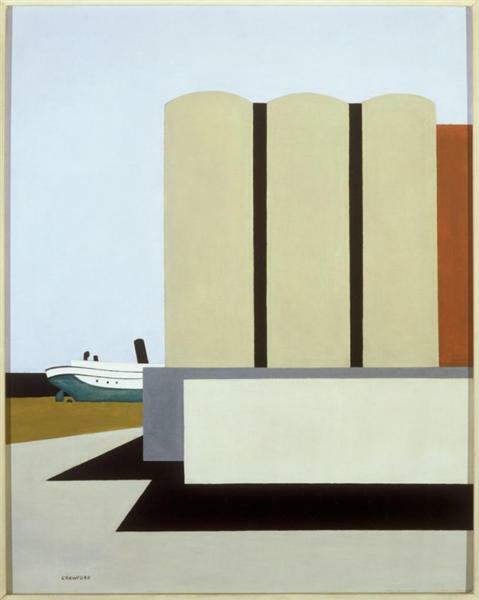 He also adopted a practice associated with commercial galleries and unprecedented in the museum setting: Phillips gave living artists solo exhibitions. He believed that these were an important source of encouragement for artists, especially at the beginning of their careers. American Mosaic: Picturing Modern Art through the Eye of Duncan Phillips, presented in six thematic sections, demonstrates not only the changes in American art from the late nineteenth through the mid-twentieth centuries, it also celebrates Phillips’s lifetime commitment to an extraordinary vision and how this focus created one of the finest collections of American art. 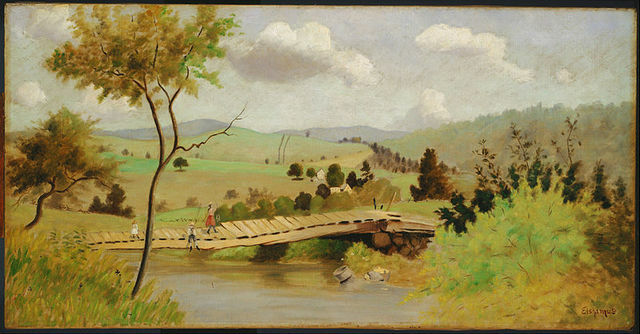 By the second half of the 19th century, young American painters were seeking alternatives to the sentimentality of American genre painting and with the work of independent- minded artists such as George Inness, Winslow Homer, Thomas Eakins, and Albert Pinkham Ryder (all represented in this exhibition), American art came of age. Considered America’s ‘modern’ old masters by Duncan Phillips, these artists relied more on an artistic inner vision and an exploration of the emerging interest in psychology. In 1886, work by the French impressionists made it to New York and transformed American painters who took to painting outdoors, adopting a brighter palette and applying pure unmixed color on the canvas in dabs and broken brushstrokes to create a sense—an impression—of reflected light, air, and atmosphere. American Mosaic includes artworks by Childe Hassam, Theodore Robinson, John Henry Twachtman, and Julian Alden Weir, who were among the first American painters to assimilate these principals. 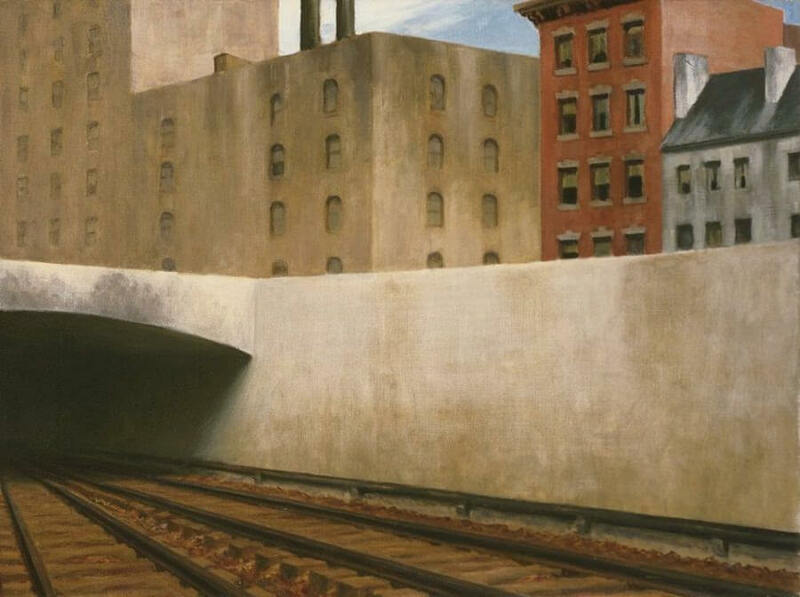 After World War I when American artists struggled to define the country’s modern identity, Phillips was among the most adventurous collectors and museum directors, embracing bold, original works that signaled a uniquely American style. 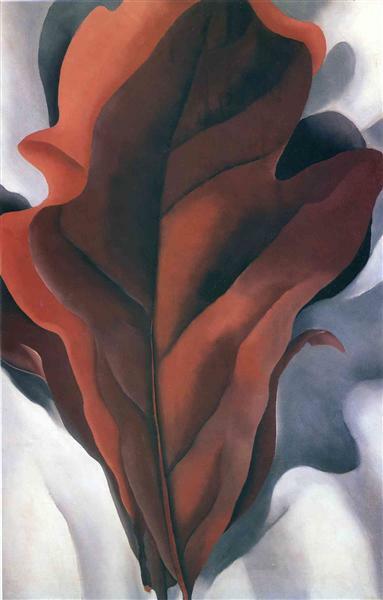 Through the circle of artists championed by photographer and gallerist Alfred Stieglitz, Phillips met and collected works by Arthur Dove, John Marin, and Georgia O’Keeffe, who believed the experience of the natural world was a spiritual one in which nature’s essence could be made visible in abstract elements—color, form, and line—divorced from representation. 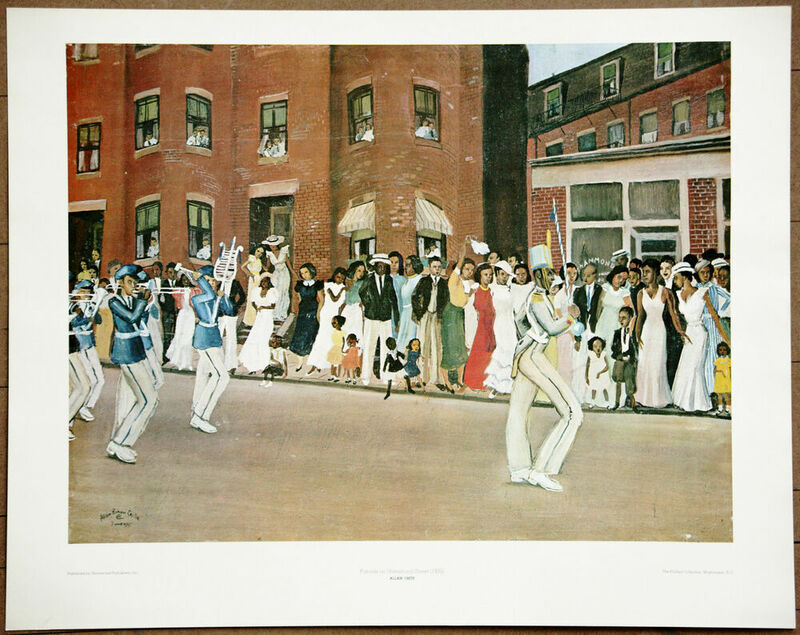 Collection of The Phillips Collection, Washington, D.C.
Moving away from its roots as an agrarian culture, America at the turn of the 20th century grew fascinated by the emergence of the city and its newly developing energy. The first wave of American painters interested in the grit and grim of the city became known as the Ashcan School while a second wave of artists were more interested in the effects of the city on the American psyche. 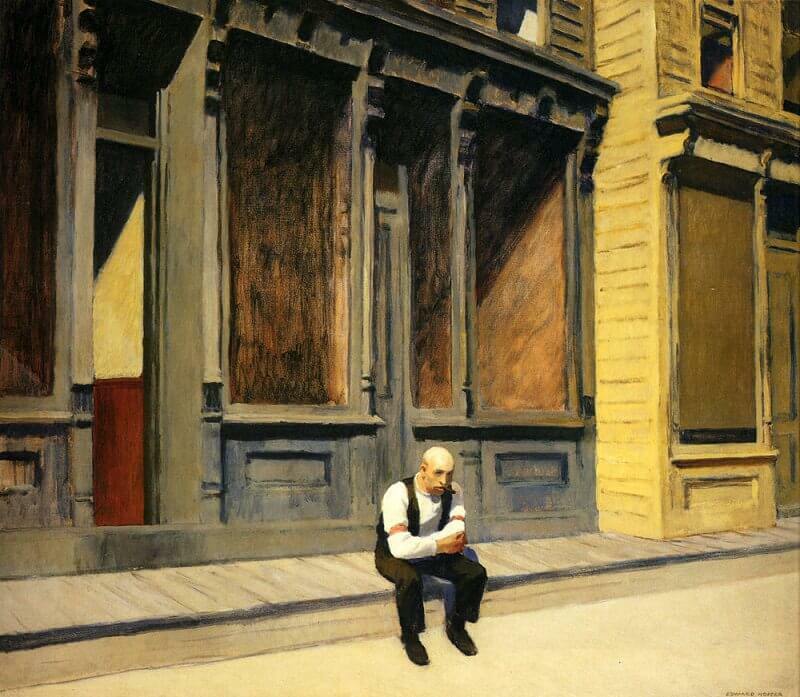 Phillips found these artists, such as John Sloan and later Edward Hopper, to embody all of the complexity and contradictions of the new urban scene. 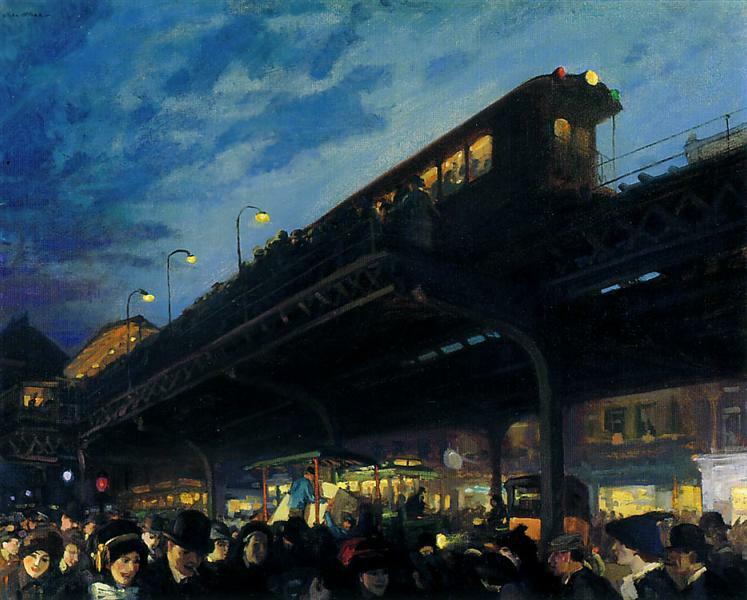 Drawn to the work of John Sloan, Phillips noted that the artist “points out not only the crowd but the lonely individual caught in the maelstrom;” and similarly, after acquiring Hopper’s Sunday (1926) in 1926, Phillips described how Hopper balanced the abstraction of architectural spaces against the psychological isolation of modern life. The renewed sense of nationalism that settled over the country at the end of World War I coupled with engineering advances found expression in the new ways to express pictorially the structures of the city. 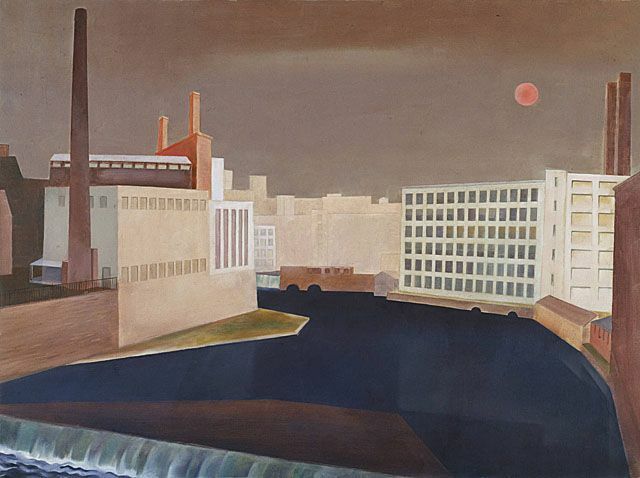 An early supporter of Charles Sheeler and his interpretations of the city with abstract patterns of light and dark, Phillips believed his pictures expressed the impersonal character of the time with dreamlike precision. Millions of immigrants from Europe, Latin American, and Asia began arriving in the United States in the late 19th century. African Americans from the rural South moved to the cities of the North seeking freedom from oppression between 1910 and 1940. 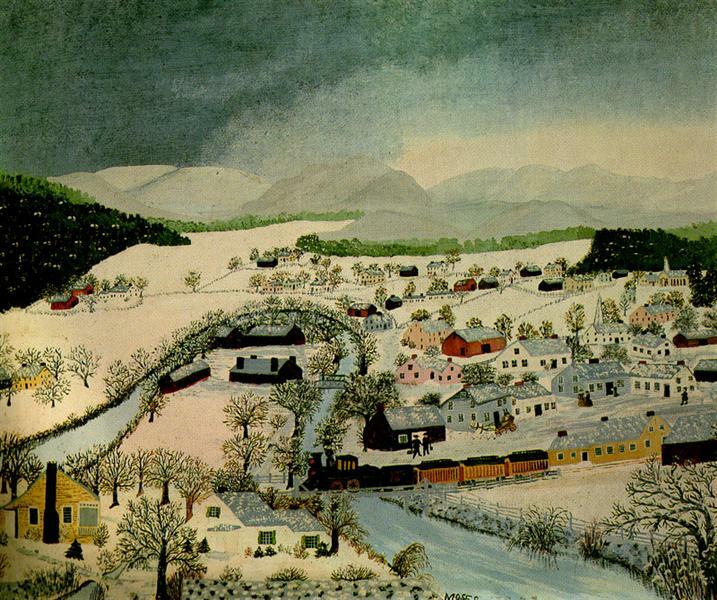 Phillips—who believed a diversity of voices was an essential part of American life—was particularly attracted to work by artists of color, including Jacob Lawrence and Horace Pippin; and the self-taught Grandma Moses, who painted the rural life in upstate New York that she knew intimately. By the end of the 1930s, artists in America were putting increasing emphasis on abstraction as a universal visual language of pure form and color, whether divorced from nature or derived from it. Moreover, many American abstract painters looked to philosophy, mathematics, science, psychology, religion, and music to stimulate their visual reality and propel their art into new directions; appealing to Phillips’s open mindedness in American art. Morris Graves, steeped in Zen Buddhism and Taoism, believed in the subconscious as the locus of creativity. Arthur Dove, while still looking to his surroundings for inspiration, eliminated descriptive detail to concentrate exclusively on spatial, geometric, and color relationships. 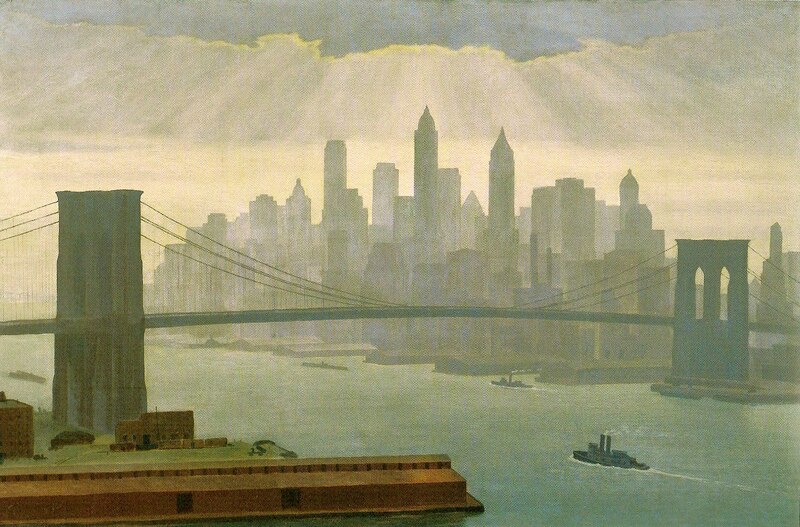 In the 1940s and 1950s, with the emergence of abstract expressionism, the first truly international style to emerge in the United States, New York City became the heart of avant-garde creativity and the art capital of the world. Abstract expressionism turned American art into a global force. 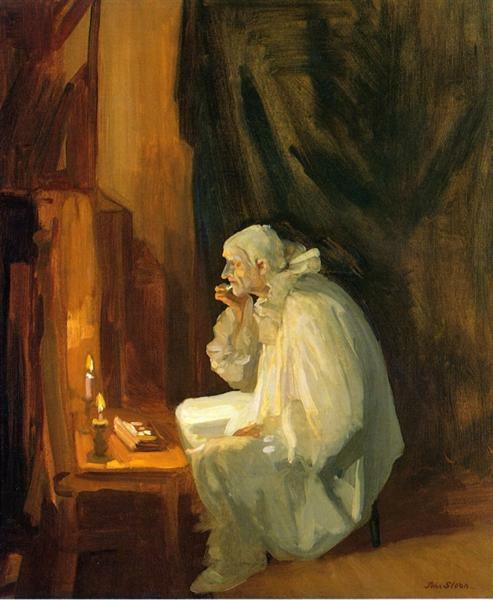 The artists favored the ’authenticity’ of the individual gesture and although they shared certain intellectual concerns and social connections, each of the artists painted in his or her own style. Clyfford Still purged his paintings of emblematic imagery, making dark canvases that expressed his philosophical concerns. 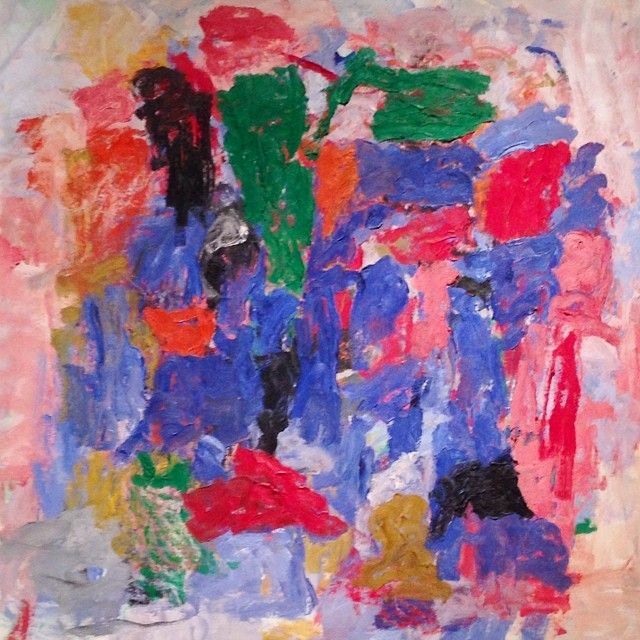 Younger artists Sam Francis and Richard Diebenkorn favored expressive use of color. 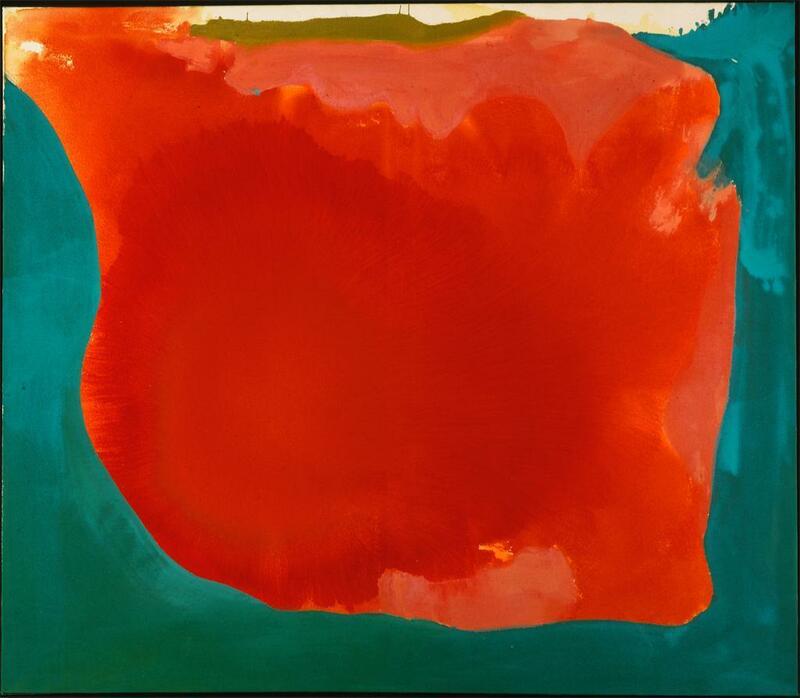 Helen Frankenthaler, Morris Louis, and Kenneth Noland eliminated the use of thick pigment for a soaking and staining technique. American Mosaic: Picturing Modern Art through the Eye of Duncan Phillips showcases extraordinary examples from these American art movements by some of the nation’s most important artists. The 65 paintings and one sculpture, created between the 1860s and 1960s, offer a thematic journey that reveals the breadth of America’s modernist vision. For more than 40 years, Duncan Phillips was a major force in promoting American modernism, through acquisitions, exhibitions, and the presentation of American art in his museum, The Phillips. American Mosaic: Picturing Modern Art through the Eye of Duncan Phillips has been organized by The Phillips Collection, Washington, D.C. The exhibition is presented by Visionaries.